My kids like to play with their food. Do yours? Instead of fighting it, why not play along! Here is a set of free Alphabet Tracing printables that go along with Goldfish crackers - my kids' favorite snack. Now they can play with their food and practice the alphabet at the same time. 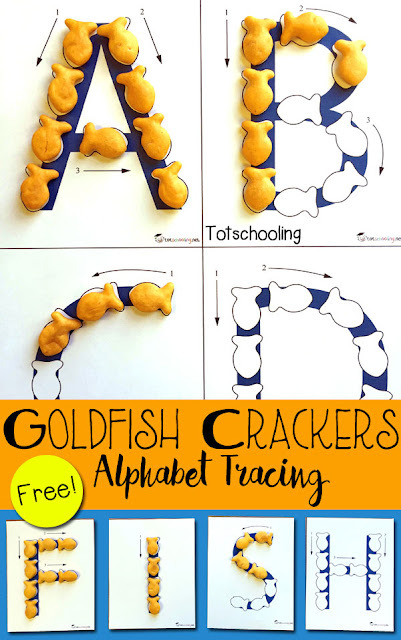 This FREE printable Goldfish Alphabet pack features 26 letters of the alphabet that children can trace with goldfish crackers. Each letter includes prompts on the formation of the letters, which is great for my preschooler who is learning to write, but optional for my toddler who is still learning to recognize letters. 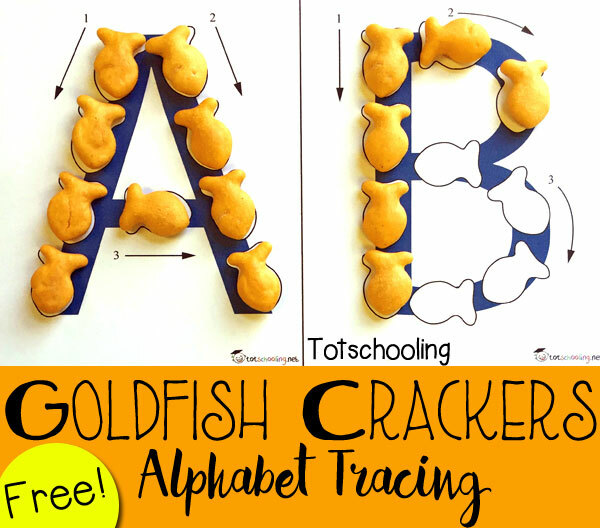 If you cut out each letter individually, children can arrange them to make words or even their name! 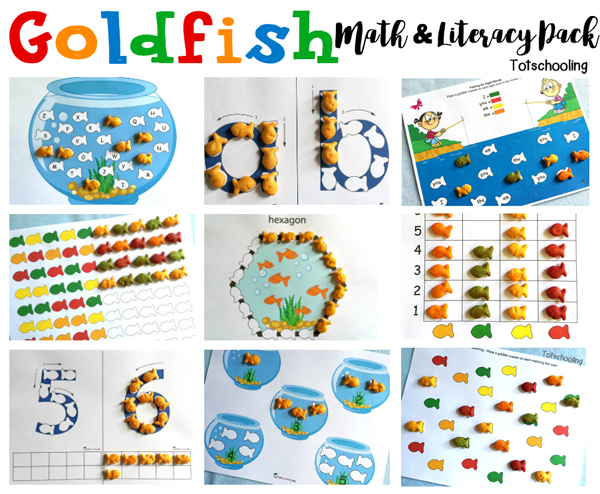 This activity is part of our Goldfish Math & Literacy Pack which includes 20 hands-on early learning activities! Could you be persuaded to make these in lower-case, too, please? I am planning on making a lower case set as well, in the near future. Stay tuned! My kinder-bears cannot wait!!! Thank you! Hi, You most likely clicked on one of the ads. Sorry about that. I will email you the file shortly. I printed your capital Goldfish alphabet, and I see a couple letters in lowercase, but I cannot find the set of lowercase Goldfish alphabet. Hi, the lowercase goldfish can be found in the paid pack. I just sent you an email. Thanks! These are cute! Great idea! Thank you for sharing.